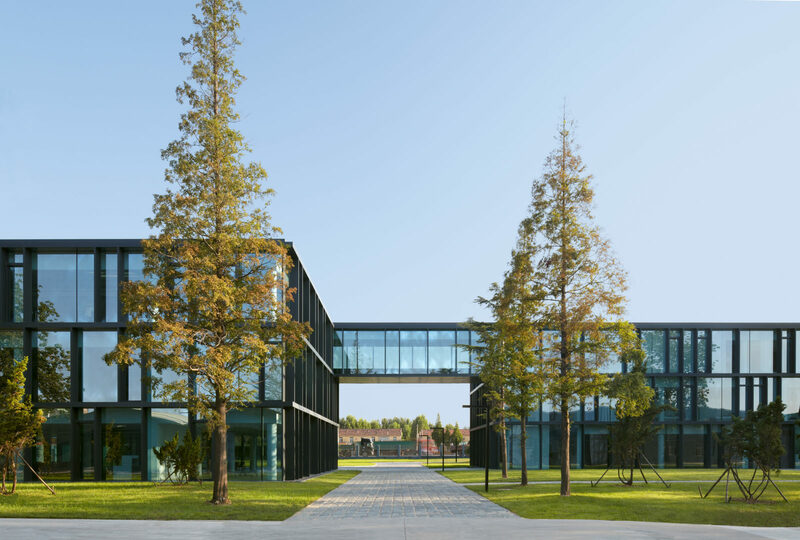 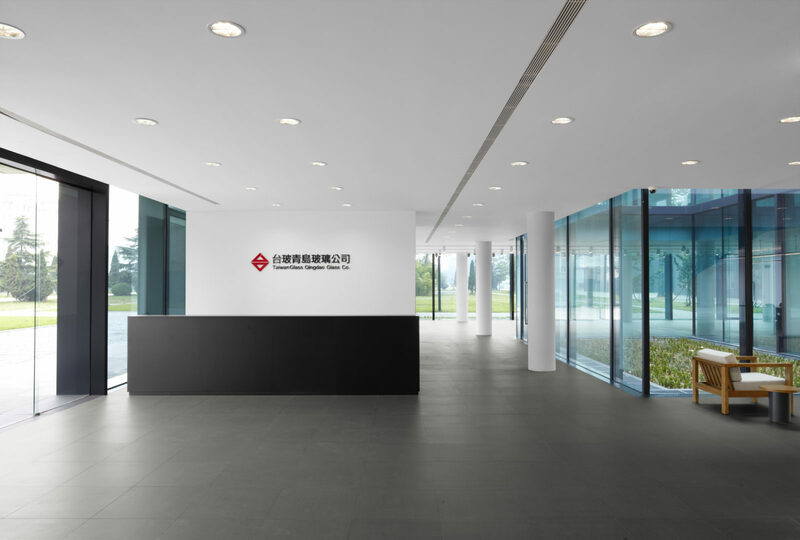 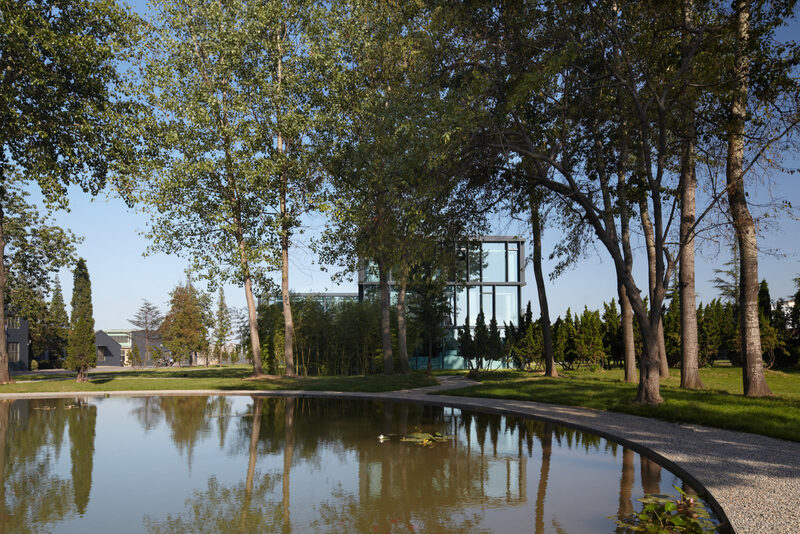 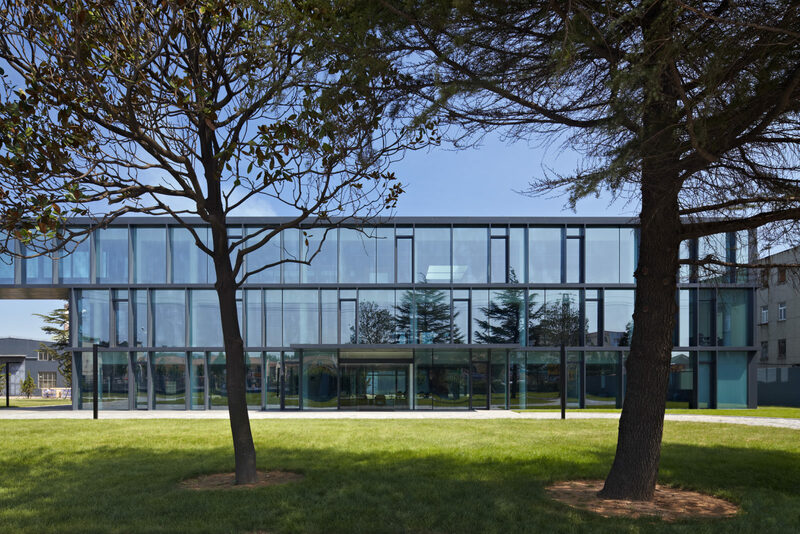 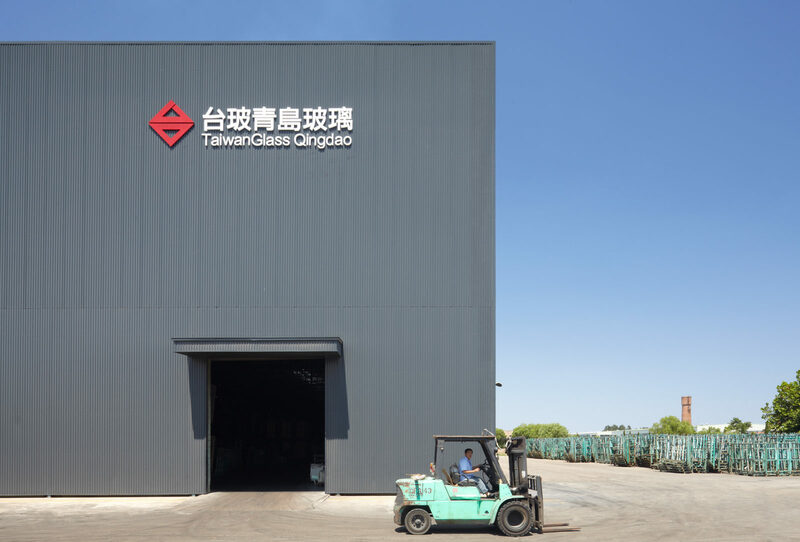 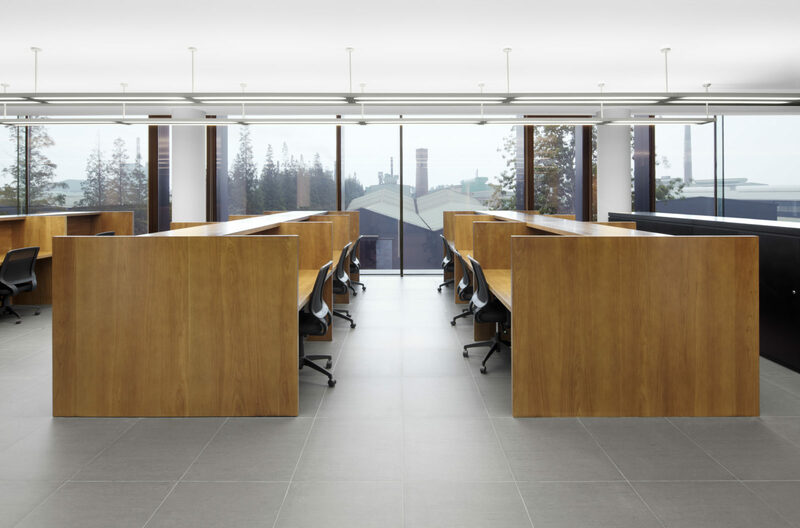 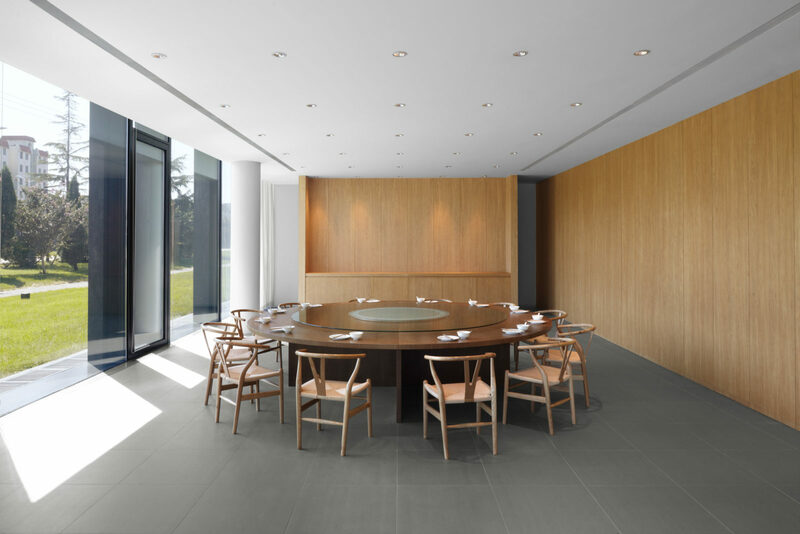 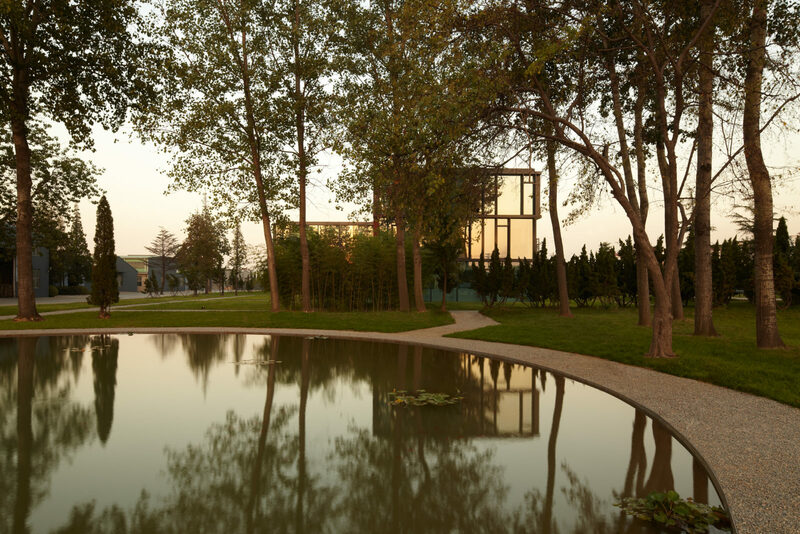 For their main branch in mainland China, Taiwan’s largest glass manufacturer, Taiwan Glass commissioned a 4.100 sqm office building as well as master planning of the 20.000 sqm area in Qingdao, China, including smaller buildings such as gate house, canteen building, and pagoda. 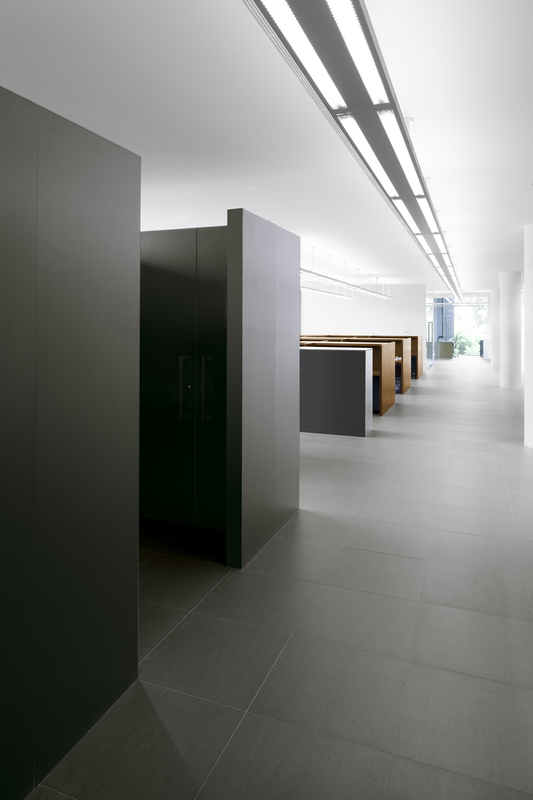 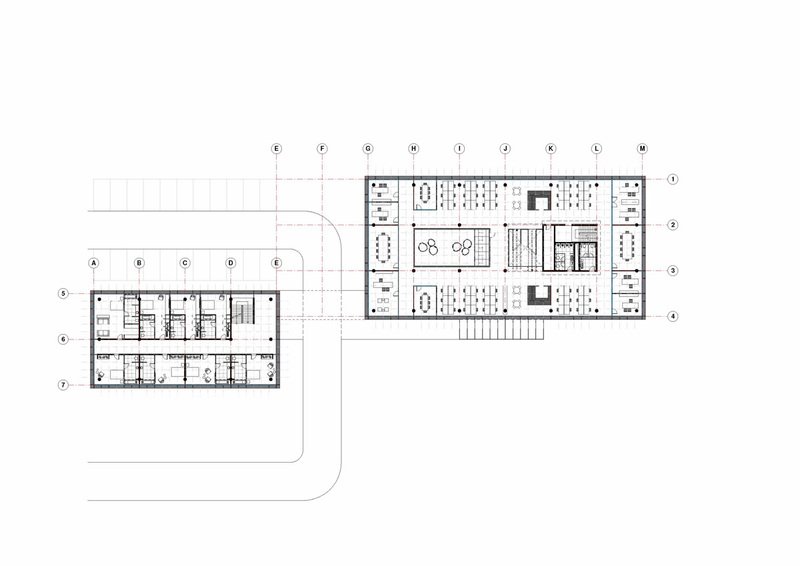 A three-storey building housing offices, restaurant as well as apartments for company managers were realised. 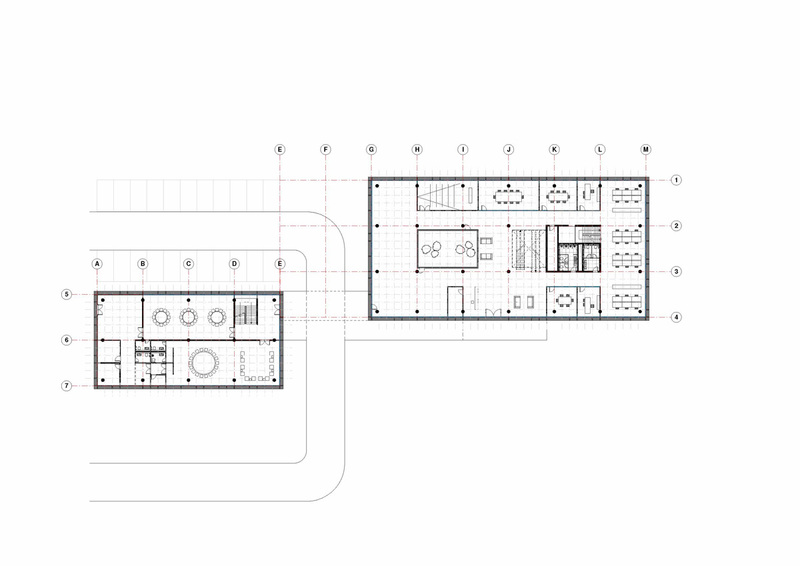 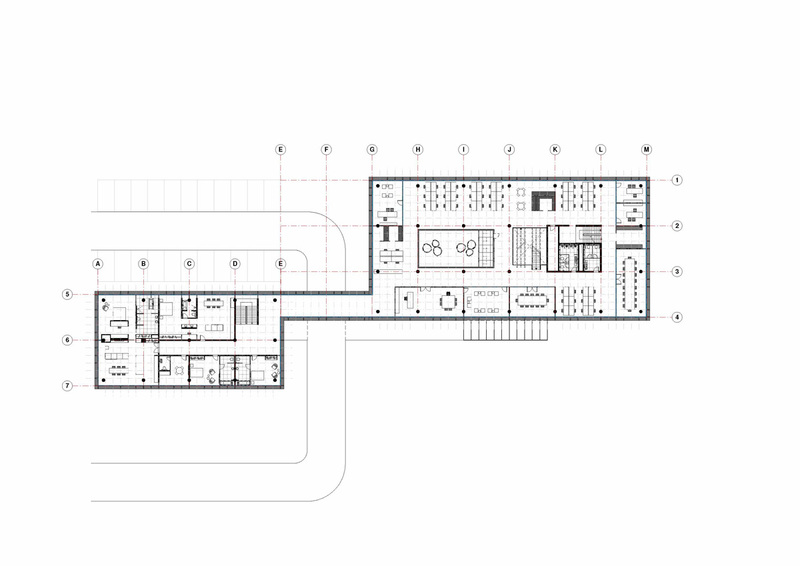 The general floorplan separates the structure into two buildings, apartment and office building, connected by an elegant bridge on the third floor. 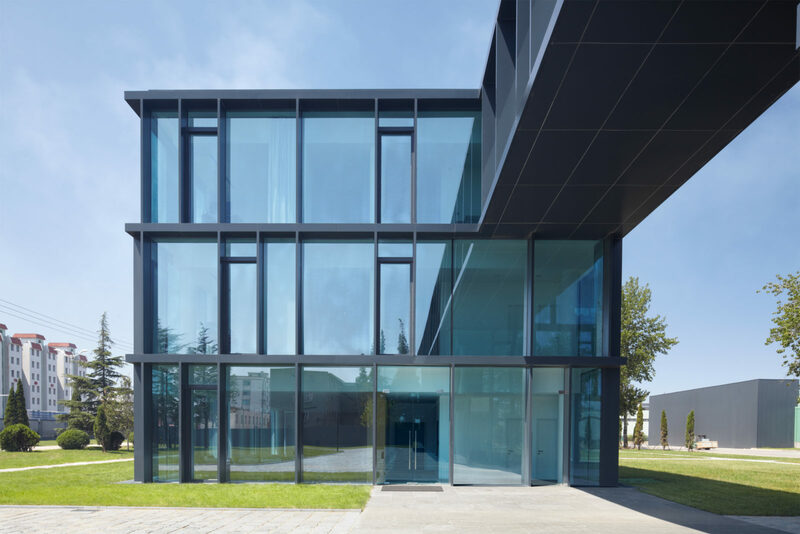 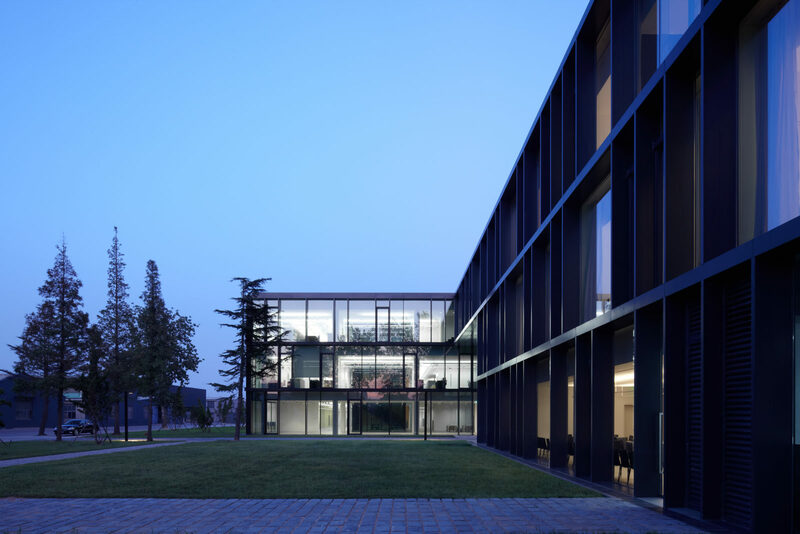 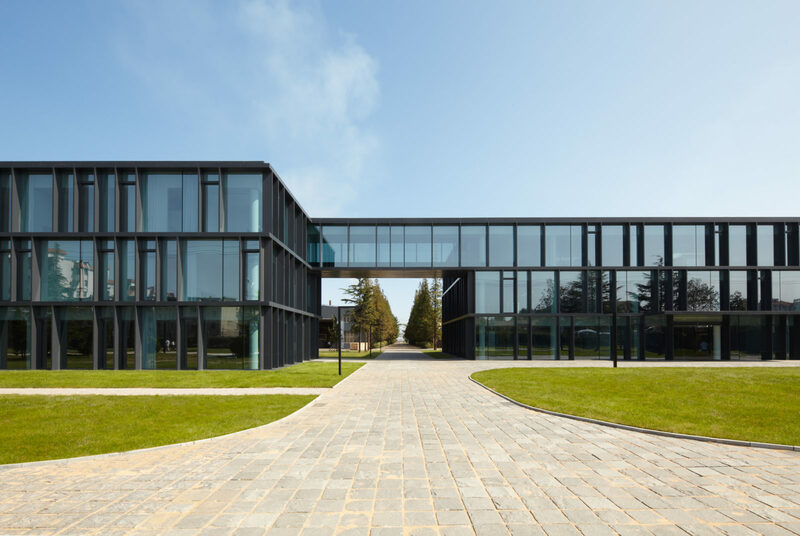 Following on from the first building for Taiwan Glass in Fujian, China, also by PHILIPP MAINZER, this building features glass as the main focal point. 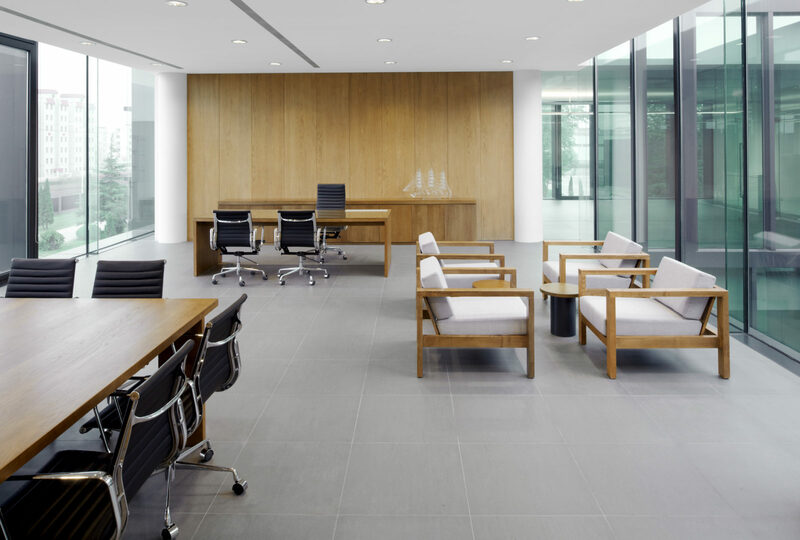 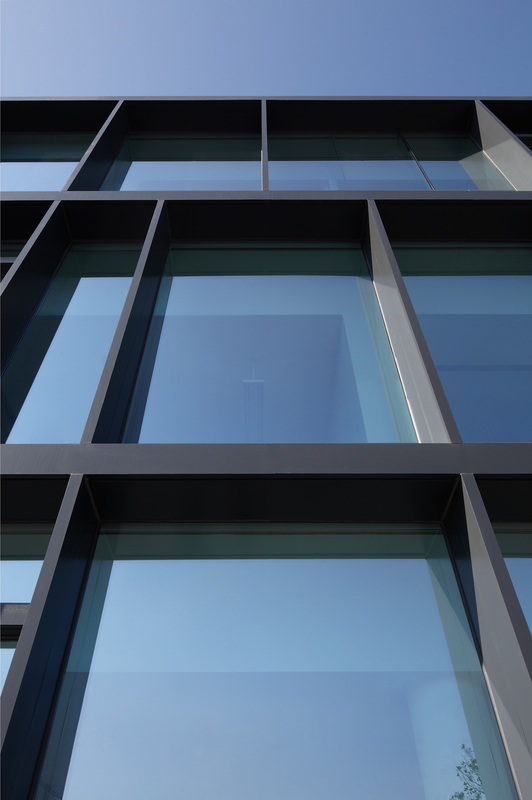 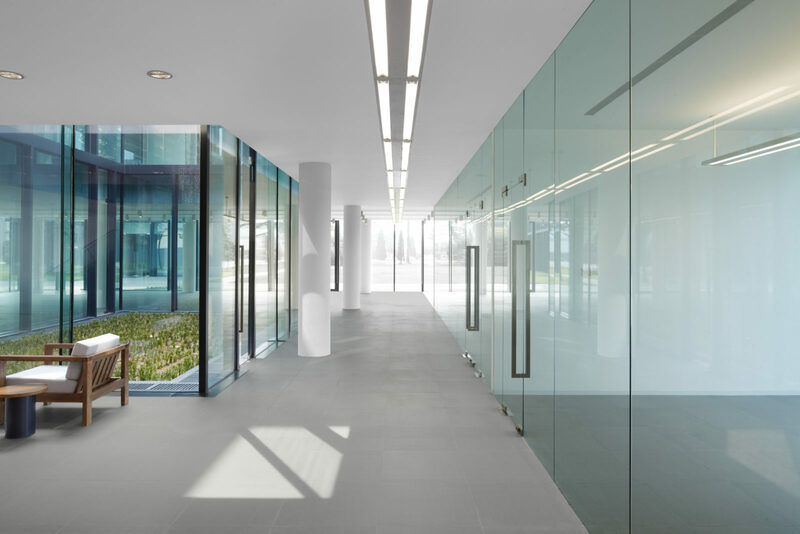 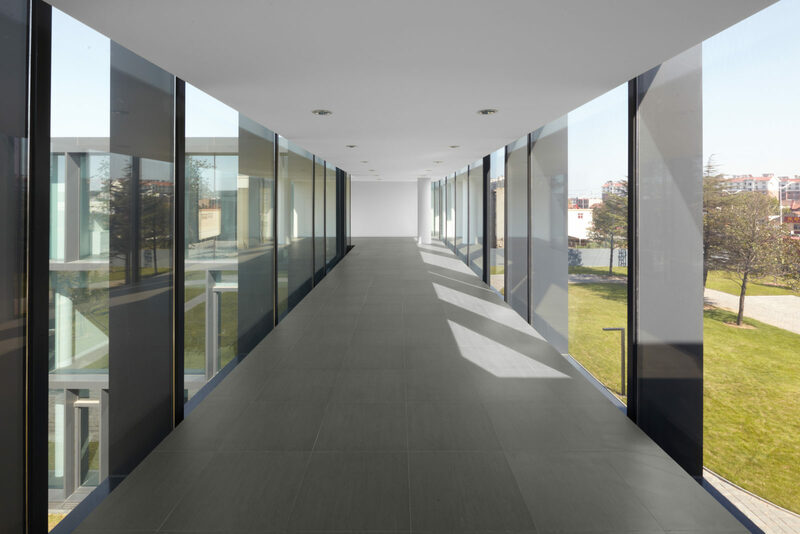 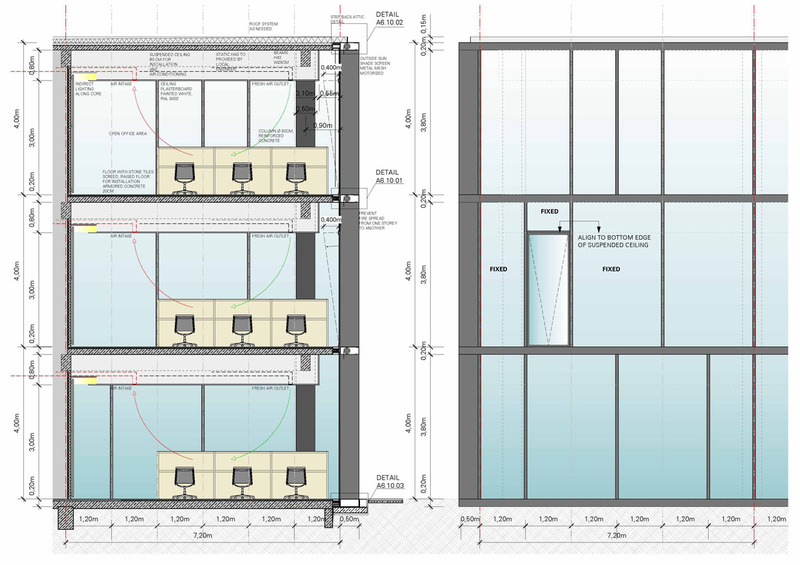 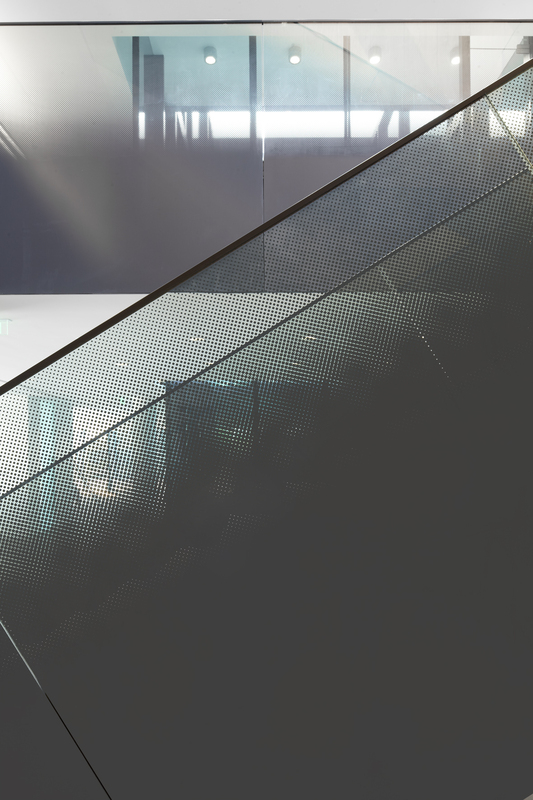 Creating a presentation of the company’s main product, float glass, a reinforced concrete structure and large glass curtain wall creates a harmonious appearance for the façade and building, whilst ensuring transparency and maximum use of daylight. 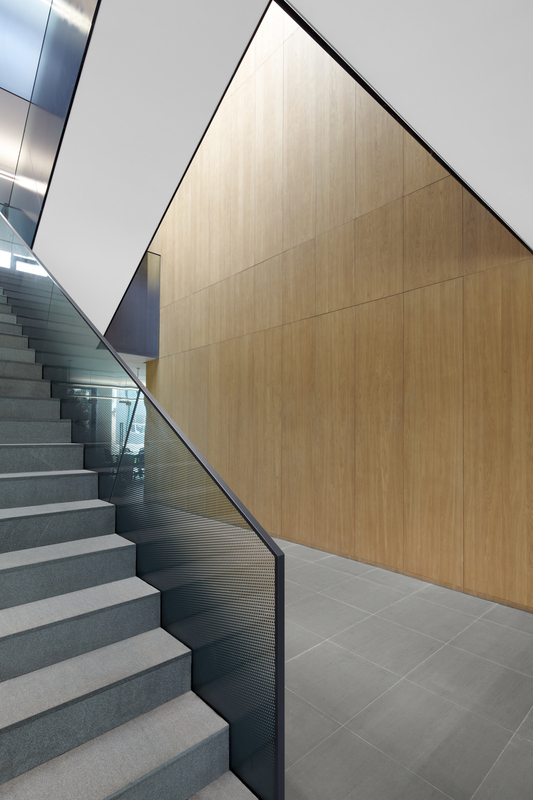 High-end interior design and refined landscaping accentuate the new built.